The Boston Town ABC trio. Three boxers from Boston Town ABC have made their debuts, just four months after the club opened. 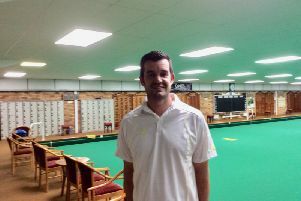 The trio competed in Mansfield, Mason Sorrell facing Zubair Ali of Quarry Lane ABC in his first-ever match. In the first round, Sorrell was defending and countering Ali’s punches, making the his rival miss countering with the jab and lead hook. In the second Ali began pressuring Sorrell more, forcing him back onto the ropes but not landing many clean shots due to Sorrell’s effective defending. The Boston lad continued to wait and counter Ali using his long range. The final round was close, both fighters picking up the pace in order to push for the win. Sorrell continued to use his technical ability, working punches to the head and body whilst Ali continued to put the pressure on by coming forward with straight shots to the head. And that appeared to impress the judges as Ali was awarded the unanimous decision. Gab Marcinullius and Shourn Harber both competed in skills bouts. Marcinullius faced Thomas North, from Bolsover ABC, using his height advantage effectively by using his jab and spinning off. The second and third round saw North pushing forward more, trying to fluster the 11-year-old Boston fighter. But Marcinullius remained composed the whole time, keeping it simple yet effective. Thirteen-year-old Harber met Alister Hamilton, from Rainworth and Blidworth ABC. The Boston fighter made a strong start using his jab effectively but the bout was even throughout the three rounds, both pushing each other using a range of different combinations and throwing effective punches.